China has been the largest exporter of jeans to EU and US for a very long period. 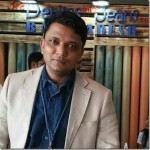 Though it still retains its premier position as exporter of denim apparel, it seems to have lost this position to Bangladesh in last couple of years. For US countries like Mexico are giving it a tougher fight as China gets less competitive. However, the giant that China is, it still is fighting to retain its position and some results are showing.